A real eye-catcher at breakfast! 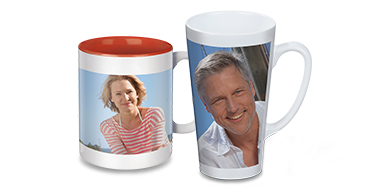 On these mugs, you can now admire your favourite photo with our attractive design in extra-large panoramic format. Decorative gifts with atmospheric effects. 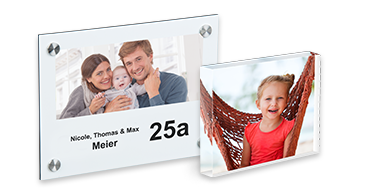 These personalised photo gifts give your room design the perfect finishing touch. More fun in the workplace! Photo gifts for more fun at the office: just the thing to brighten up the working day for you or your loved one! Break-time snacks from the sandwich box with that extra smile factor, or a pencil case to keep things tidy: our school photo gifts are guaranteed to inspire! Ideal gifts not just for kids! Transform your best photos into a very special toy. 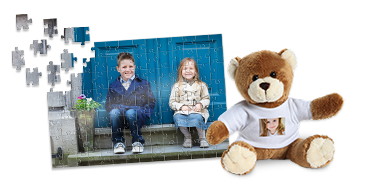 Enjoy your pictures piece by piece as a jigsaw puzzle or card game, or give your loved ones cuddly stuffed animals. Top quality and colourful printing! Add a personal touch to a sweatshirt, cap or shopping bag with your own photo - perfect as a gift for a loved one or yourself! Being creative with our stationery! Create custom stationery for school, office or retail. Just add your favorite photo to a notebook, diary or business cards for that personal touch. • A sports bottle personalised with own photographs and texts for the gym or a bike ride or a traditional one pint beer mug with image onprint are presents with a difference. • Laser engraved crystal photo gifts, including crystal picture frames, pen holders, crystal key rings with LED light, crystal pen holders and crystal photo hearts. • In lieu of store-bought sentiments featuring cartoon characters, own greetings cards with photos, designs or a few simple words straight from the heart. • Showing love 365 days this year, with a photo calendar featuring own digital pictures. FotoInsight photographic calendars can start any month of the year. A hanging wall calendar offers room to jot down romantic dinner dates. • A holiday or family photo as a canvas print? 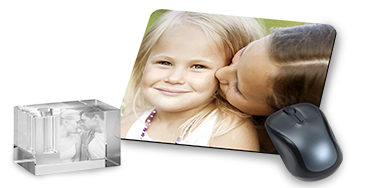 FotoInsight prints digital images onto fabric, stretched and mounted onto a wooden frame. Delivered ready to hang onto the wall. 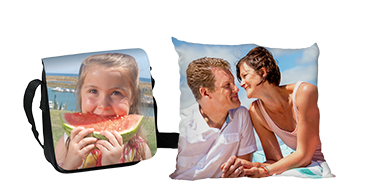 • Active families who want to remember their holidays will find the photo book printed from your personal digital photographs ideal. With a variety of creative themes and page layouts, these one-of-a-kind photo gifts will help to remember a special trip or photos from every-day moments. • Dome with red hearts – a photograph is inserted in the centre. 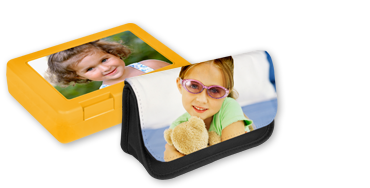 • Photo gift classics include the a photo cushion or hand, linen or messenger bag with photo on print. • A picture of the beloved partner in large format? Ideal for this are real photographic paper prints transparently adhered to acrylic glass which is 5 or 10 mm thick. Acrylic poster prints have shiny colours and the glass provides additional optical depth. It’s not what you give but what the gift idea yields that counts. Good memories and positive emotions are the best return.